Looking for a local business with super fast turnaround and professional service then look no further. We use the highest quality inks and products for maximum life span for all your advertising. Get Noticed Now is your local signage company that can look after all your advertising and promotional needs. No job too small as even the little things can increase your sales today. Professional personal service will be what you can expect and receive from staff of Get Noticed Now. 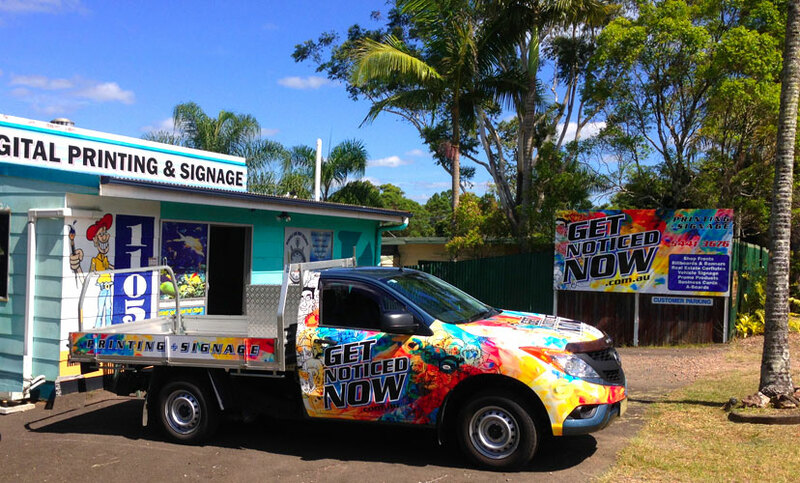 We have over 14 years of experience in the Signs and Printing industry on the Sunshine Coast. There is no limits to the products that we can supply from small stickers and business cards to vehicle wraps and shop signage.